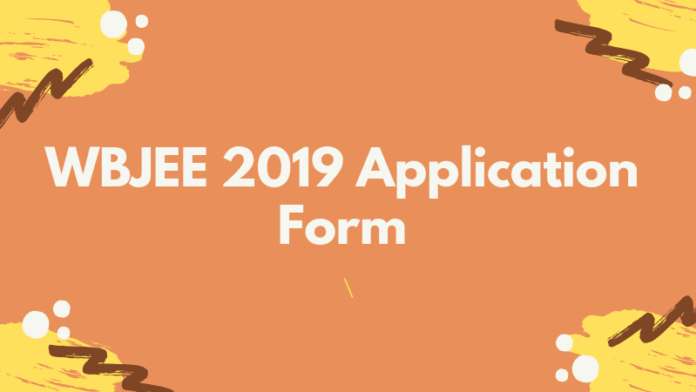 WBJEE 2019 Application Form – The aspirants were able to apply for WBJEE 2019 as its application form was released as scheduled. 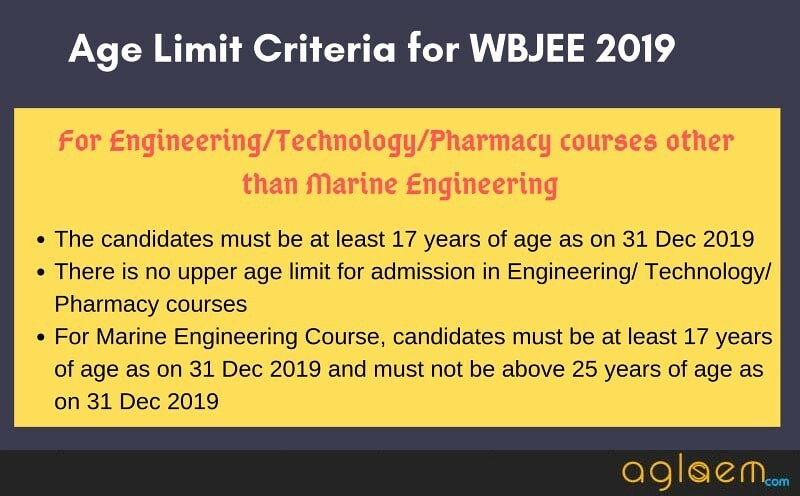 The aspirants were able to apply for WBJEE 2019 by online mode only at wbjeeb.nic.in. The Board had not provided any offline WBJEE application form. To register online, the aspirants were needed to provide their Personal details, Contact details, set a password. Once the registration was done, the aspirants got their Registration Number for WBJEE 2019 Login. Only once the candidates had successfully registered for the entrance exam, they were able to proceed to fill in details in the WBJEE 2019 Application Form. The last date to submit the WBJEE 2019 Online Application along with the complete payment of the Application Fee was January 22, 2019. Check complete details about the WBJEE Application Form 2019 from this page. Latest: Application process for WBJEE 2019 is now over. NPAT 2019 Last Few Days Left!! - Apply Now!! Though the Board provides the opportunity to the candidates to edit details in the WBJEE Application Form 2019, however, it is still advised to the candidates to provide the correct details and verify the same before proceeding to pay the application fee. Last year, over 1.27 Lakh candidates appeared for the entrance examination. 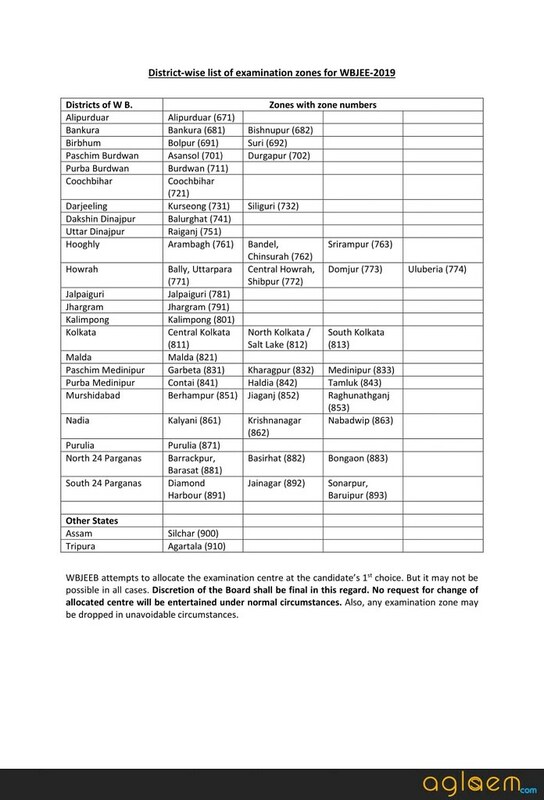 WBJEE 2019 Application Form Date: The candidates can check the complete schedule for WBJEE 2019 from the table below. If the payment done by the candidates is completed, a message “OK” will automatically appear on the screen if the payment is successful. However, in case if it gets delayed due to some reason, it is advised that they should make the payment again. NOTE: The application fee to be paid by the candidate is non-refundable. At the time of filling in details in the WBJEE 2019 Application Form, it is suggested that the candidates should keep the following list of document(s) ready. Should be clear and latest. Should be of good quality and the background should be light. Is to be scanned in JPG or JPEG format. Scan it in size between 3 KB to 100 KB. Should be neatly done on a white sheet. Use either blue or black pen to sign. Scan it in size between 03 KB to 30 KB. Dimension should be 4 cm x 1.5 cm. Note: The same photo, that will be uploaded in the WBJEE Application Form 2019, and has to be carried to the exam hall, during the counseling and final admission. Hence, it is advised that candidates produce multiple copies of it and keep it safe until the end of the admission process. Bennett University Admission - Apply Now!! The procedure to submit the application form of WBJEE 2019 is mentioned below. Follow it to submit the WBJEE Application 2019 in the correct format. Click on the direct link which is provided on this page to register for WBJEE 2019. 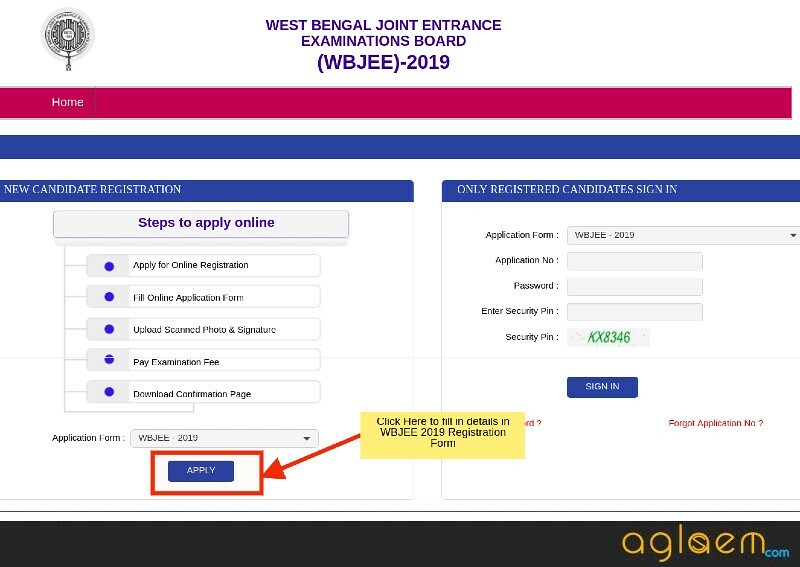 Click on the “Apply” button to open the Registration form for WBJEE 2019. 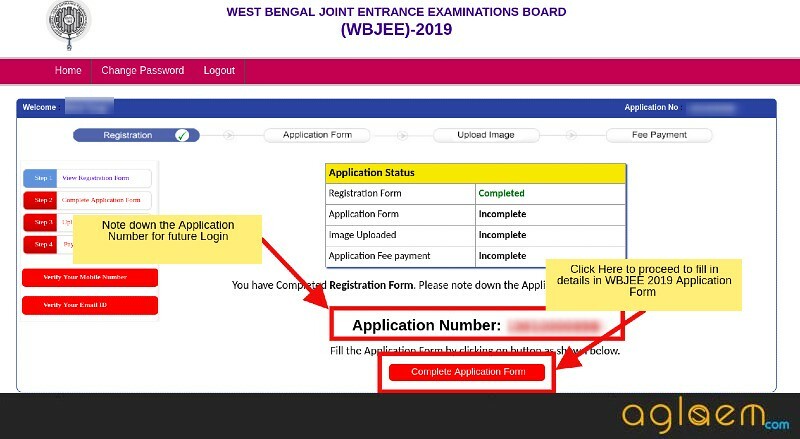 On clicking the Apply button, a new page will appear on the screen which displays the important instructions and process to apply for WBJEE 2019. The candidates must read all the instructions very carefully. Then, tick on the checkbox and click on the button “Click Here to Proceed”. 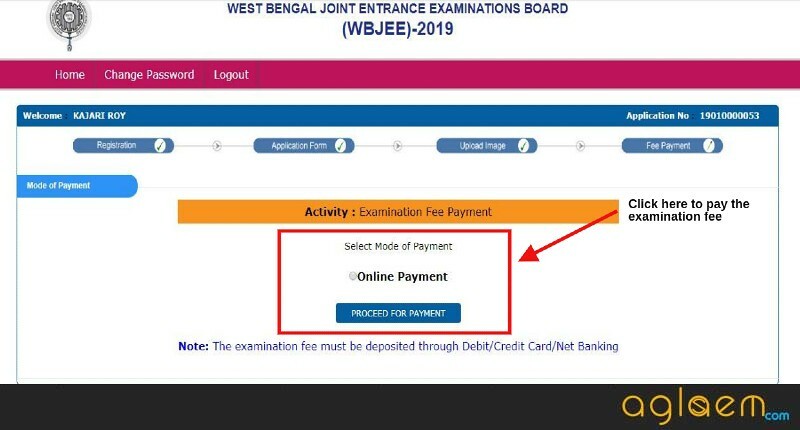 Finally, the registration form for WBJEE 2019 will appear on the screen. The registration form is divided into three tabs – Personal Details, Contact Details, Choose a password. Candidate’s Name – You need to enter the name as registered in the Class 12th certificate or its equivalent examination. Father’s Name – Enter hIt should also be as per 12th class records. There is no need to add Mr., Sir., Dr., etc. before the name. Mother’s Name – Likewise, enter your Mother’s Name as per 12th class records. There is no need to add Mrs., Ms., Dr., etc. before her name. Date of Birth – The format of DoB is DD/MM/YY. Gender – Candidates can choose from Male, Female, Transgender. Identity Type – Here, the student has to choose the ID proof. It can be Student ID Card, Voter ID, Passport, Aadhaar Card, Ration Card, Bank Account. etc. Identity Number – Here, the candidates will have to enter the number on the chosen ID card. Email Address – Enter it correctly, WBJEEB will contact candidates via the entered e-mail address. Phone Number – Enter it correctly, WBJEEB will contact candidates via the entered number. Password – It should contain 8 to 13 characters. After filling all the details, click on the “Submit” button. On submitting the registration details, the candidates will get the option to review and edit the details. It is advised that the candidates check all the details and when you are sure of it, proceed to the next step by clicking on “Final Submit”. Note: After this step, the candidates will get the Application number. It will be displayed on the screen, as well as, provided through an e-mail. 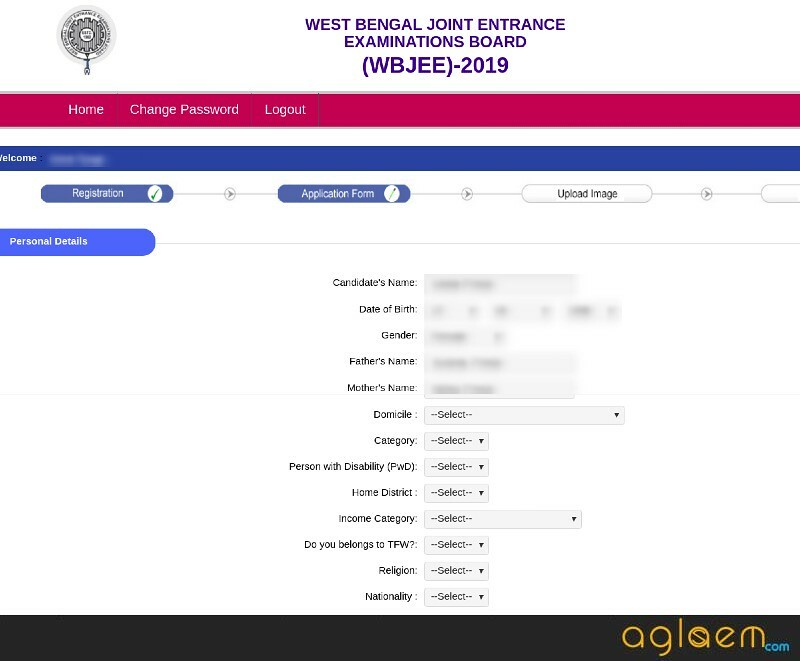 Personal Details: Details such as Name of the candidate, Domicile, Father’s Name, Mother’s Name, etc is automatically filled in the WBJEE 2019 Application Form. Do you belong to TFW? Have you applied in JEE(Main) – 2019? 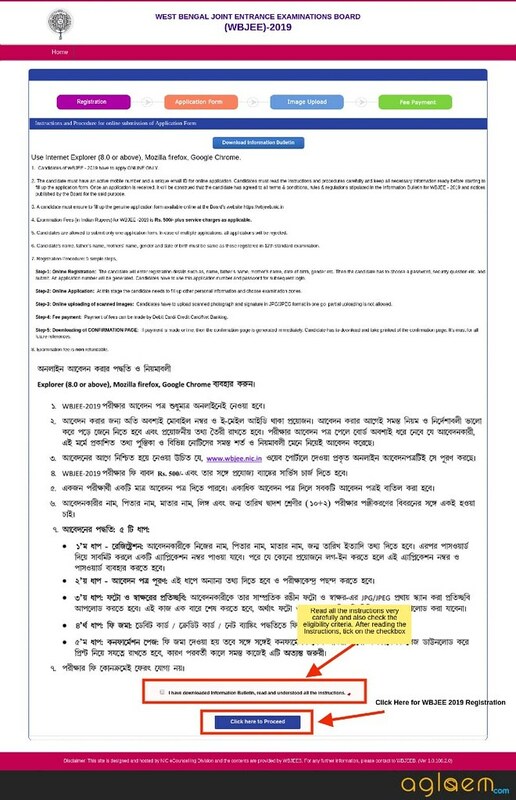 Again before submitting the WBJEE 2019 Application Form, the option to edit will be given. The candidates must make the final submit if they are sure that the details entered are correct and true in nature. The next step is to upload images in the WBJEE 2019 application form. Step 4- Payment of Application Fee: The amount of application fee is Rs. 500 and it will also be submitted as specified above. The Examination Fee can be paid by Net Banking / Debit Card / Credit Card only. 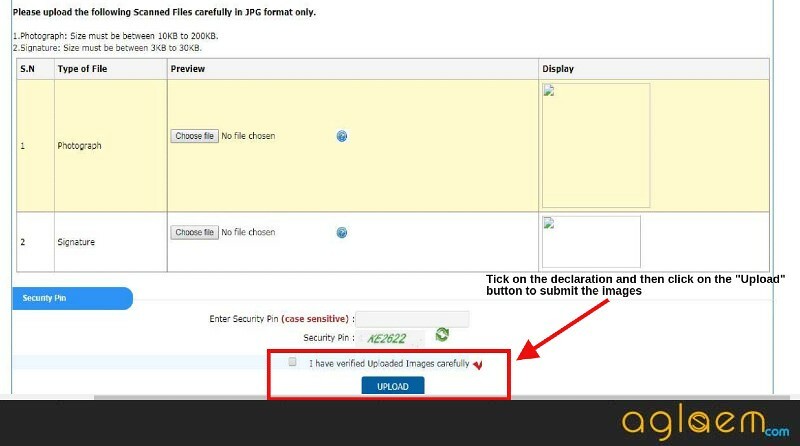 The form can be downloaded from the login after uploading the images. After the successful fee payment, the candidates need to download the confirmation page and keep it safe for future reference. Candidates need not to send the confirmation to WBJEE Board. Click here to check the guidelines for filling the Application Form. At the time of filling in details in the WBJEE 2019 Application Form, the aspirants will have to choose at least 3 test centers. The candidates should note that once they have submitted the form, any request for change in WBJEE Test Center will not be entertained. 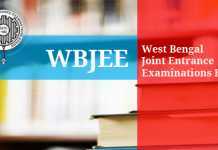 The WBJEE is going to be held at the various districts in the State of West Bengal. Check the complete list of WBJEE Test Center 2019 from below. The Board will open the window for form correction for only those candidates who submit their WBJEE 2019 Application form before the last with complete payment. The WBJEE 2019 Form Correction window is going to be open for a limited time period only. The aspirants can edit/ modify/ change any detail(s) in the Application Form. To edit details, the aspirants need to log in by entering details such as Application Number and Password. What Details You Cannot Edit in WBJEE 2019 Application Form? Q. I don’t have any personal phone, can I give my parent’s mobile number at the time of registration? A. Though it is advised that you should provide your own Email ID and Mobile Number. However, if you do not have a personal phone you can provide your parent’s mobile number but ensure that the number should be kept active till the end of the admission process. Q. 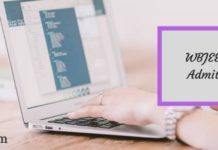 Is there any specification for the Domicile Certificate in WBJEE 2019 Application Form? A. Yes, the aspirants need to keep the domicile certificate along with them as it will be required in the later stage of the Admission process. The date of the certificate must be later than December 31, 2018. Q. Can I change my exam center once I have submitted the WBJEE Application Form? A. The aspirants once submitted the WBJEE 2019 Application Form along with the application fee cannot change the exam center choice. If you have any doubts regarding the WBJEE 2019 Application Form, then let us know in the comment section below. WBJEE 2019 Admit Card – Get the Direct Link Here!